We've previously heard the LG G4's camera could be seriously impressive, but we've now got more details that shed light on just how much of an improvement the included snapper will be over its predecessor, the LG G3, thanks in part to a huge six-layer lens. 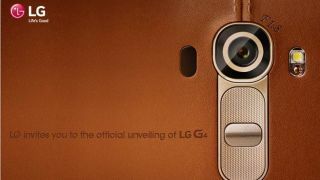 According to reports posted by BusinessKorea, the LG G4 will be able to capture 80% more light than the G3, thanks to a large lens module that is double the size of the one found in LG's previous flagship handset. If that isn't impressive enough, the lens – which is apparently going to be built entirely in-house by LG Innotek – will feature a six-element feature that will offer high-precision, large-diameter shots. According to the report LG Innotek has also included an ultra-thin 0.1mm glass blue filter, which will prevent infrared emmissions from entering the lens. This will keep the colours in images looking as realistic as possible. The LG G4's camera will be 16MP with a wide f/1.8 aperture, so it should be excellent at taking photos in low light conditions.